Sean Nolan started performing stand up in january 2011, that year he was a semi finalist in the "so you think your funny" compitition in edinburgh. The following year he won a televised stand up competition on RTE in Ireland and the prize of five thousand euro in the process, that summer he performed for the first time at the vodavone comedy festival in Dublin. 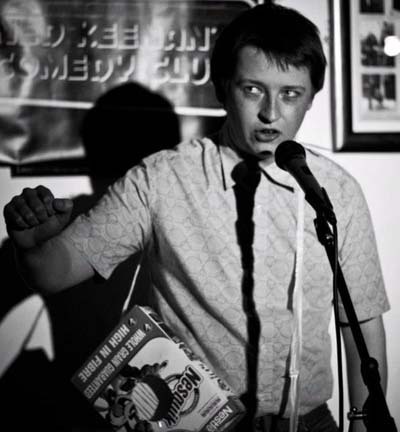 In 2013 sean performed at the kilkenny cat laughs festival and was back for double the shows at the vodavone comedy festival and in august brought his debut solo show "the joke manifesto" to edinburgh. Since then he has gigged more and more in the UK performing at the stand in edinburgh, glasgow and newcastle, the frog and bucket in manchester and the manchester comedy store.